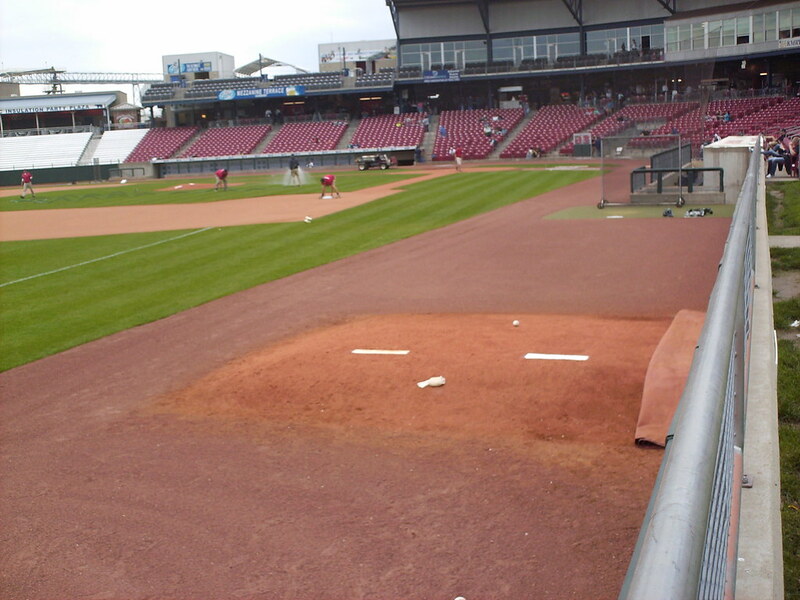 The view from behind home plate at Veterans Memorial Stadium. 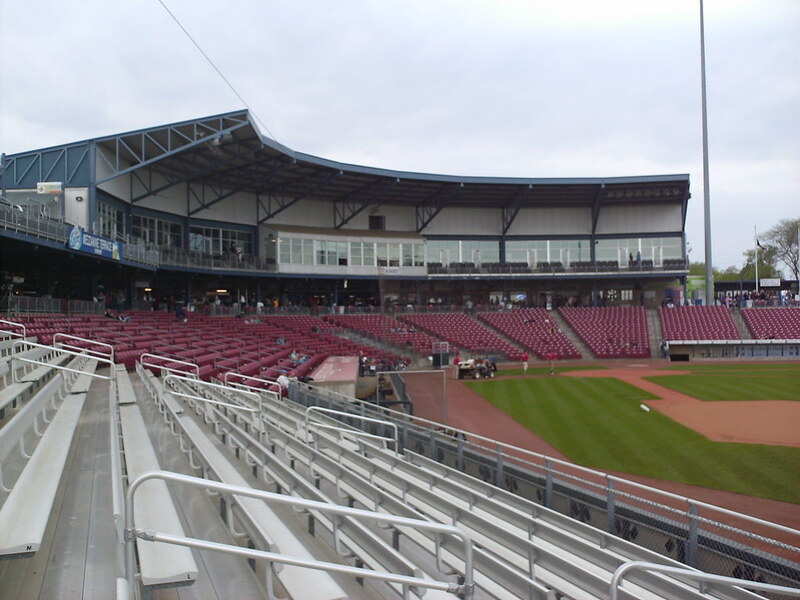 The grandstand at Veterans Memorial Stadium, as seen from the right field corner. 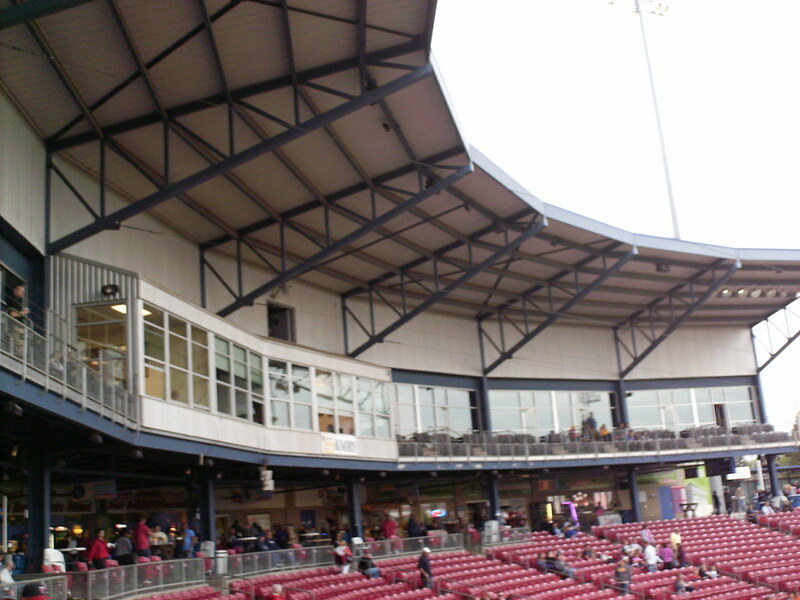 The pressbox and luxury suites. 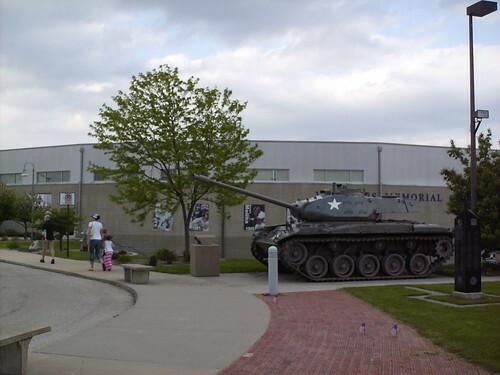 Lights hang off the underside of the roof. 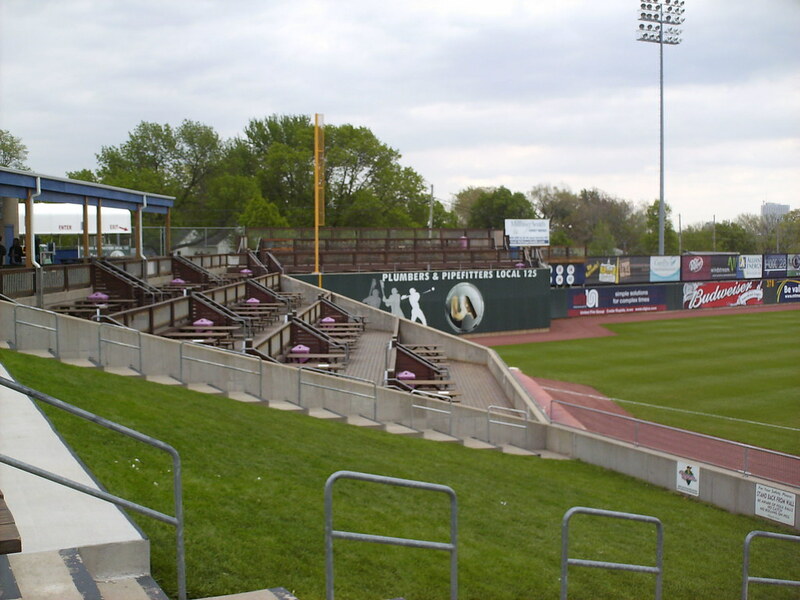 Group party seating in the left field corner and on top of the left field wall. 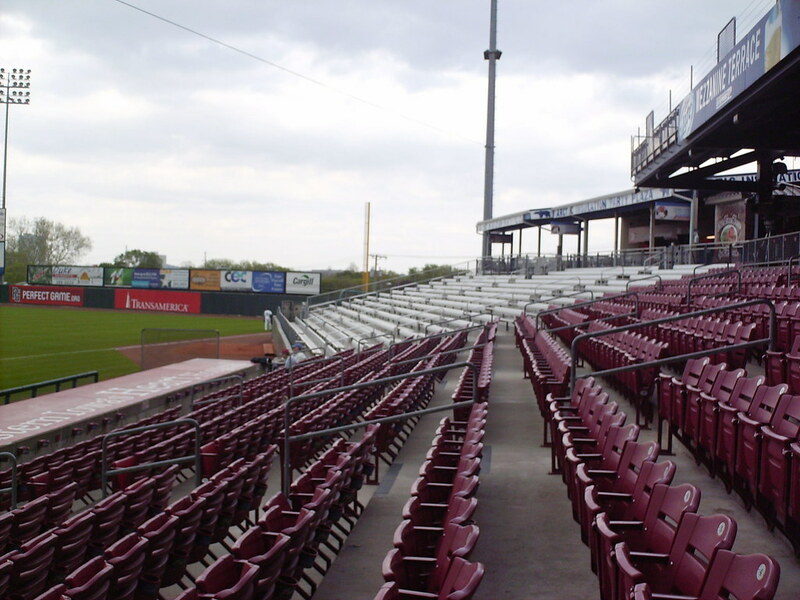 Bleacher seating in the right field corner of the grandstand. 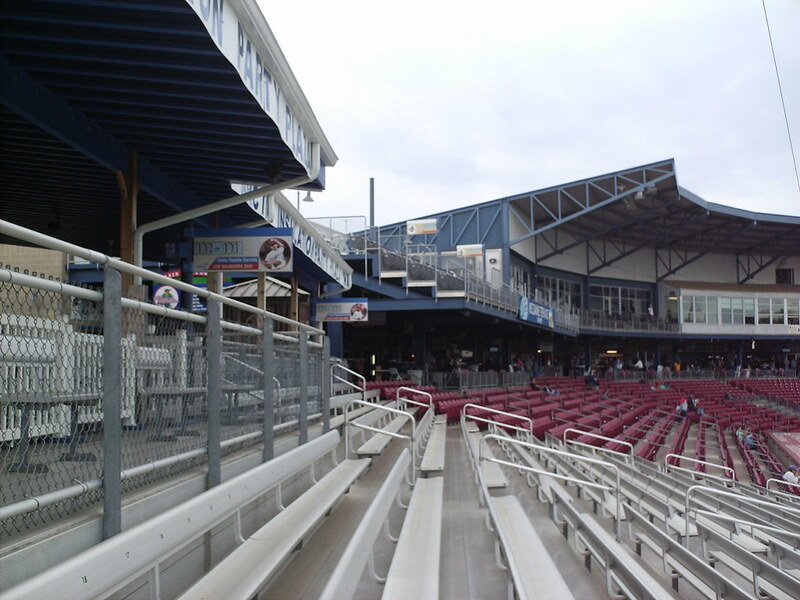 An upper deck terrace extends out over the seating bowl, and a Party Patio seating area sits on the concourse above the bleachers. 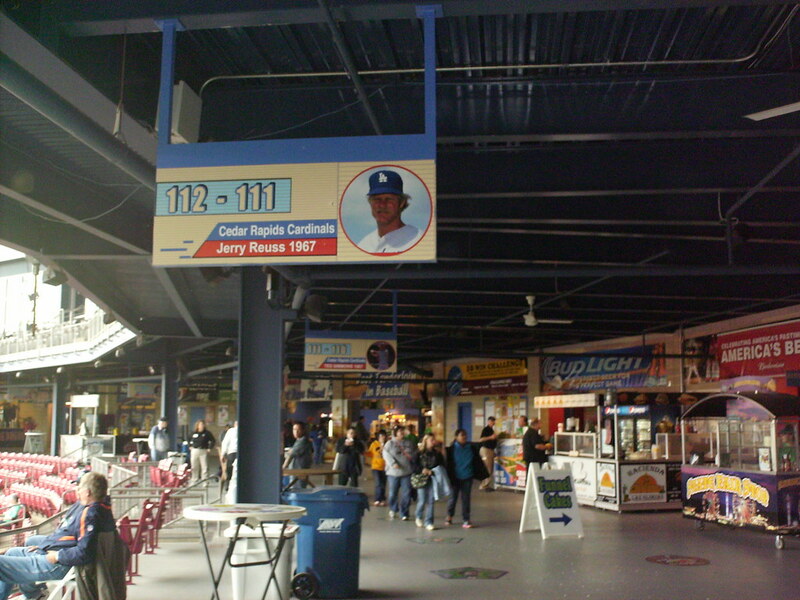 Section number signs on the concourse celebrate former Cedar Rapids players who have made the Major Leagues. 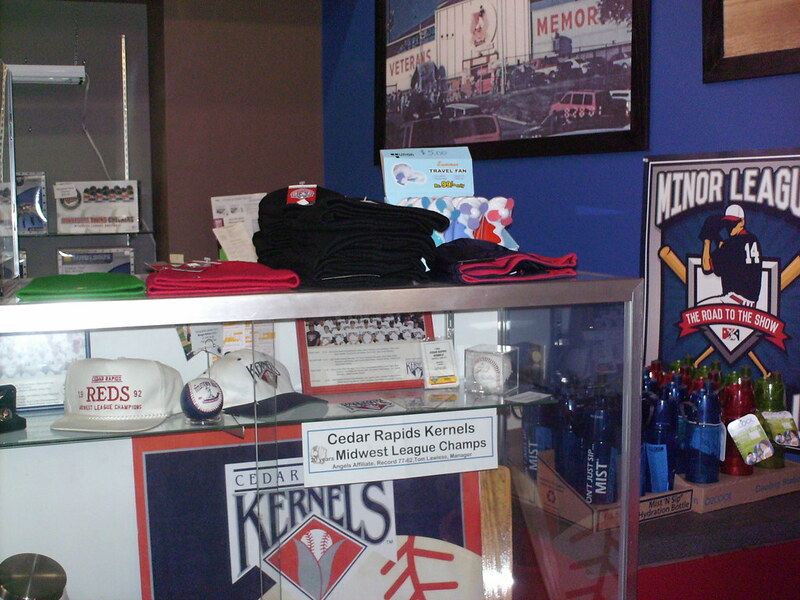 The Cedar Rapids Baseball Museum in the souvenir store celebrates the history of baseball in the city, including the Kernels former home, the original Veterans Memorial Stadium. 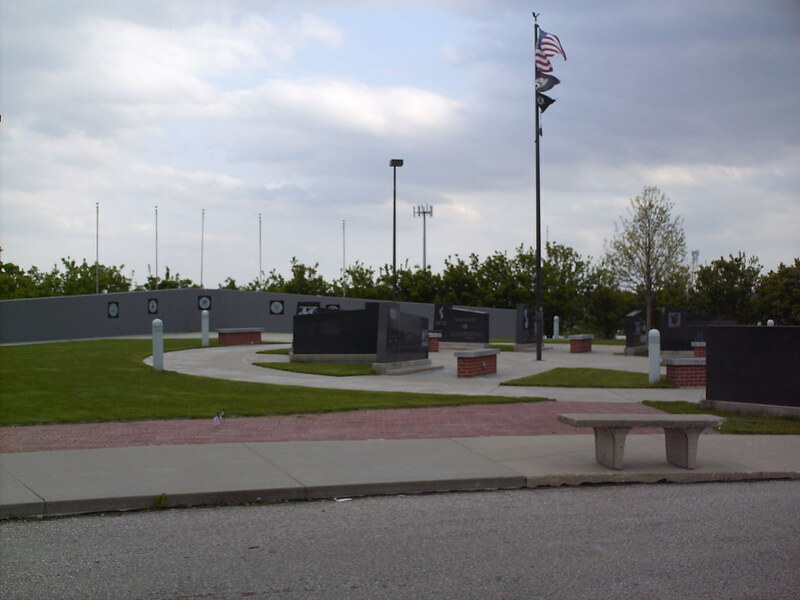 The veterans memorial outside the main gate at Veterans Memorial Stadium. 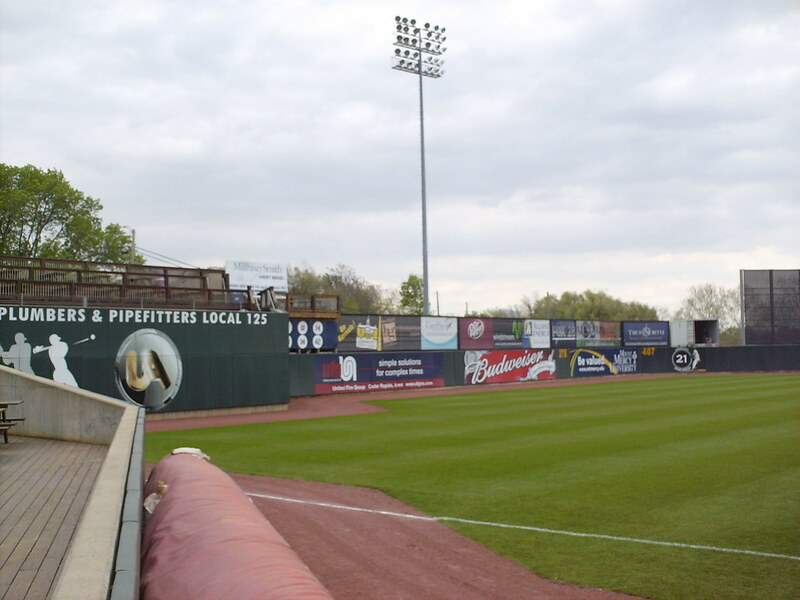 The bullpens are tucked behind the dugouts in foul territory. 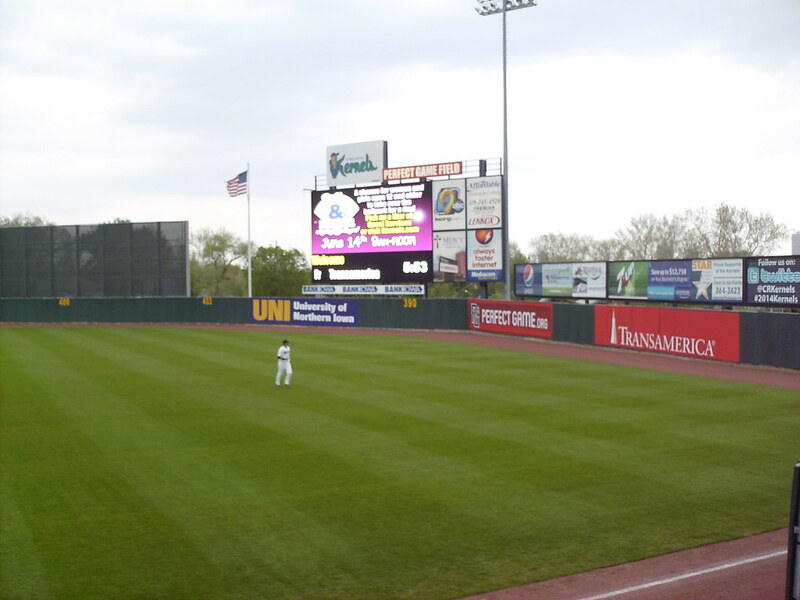 The scoreboard and outfield wall at Veterans Memorial Stadium. 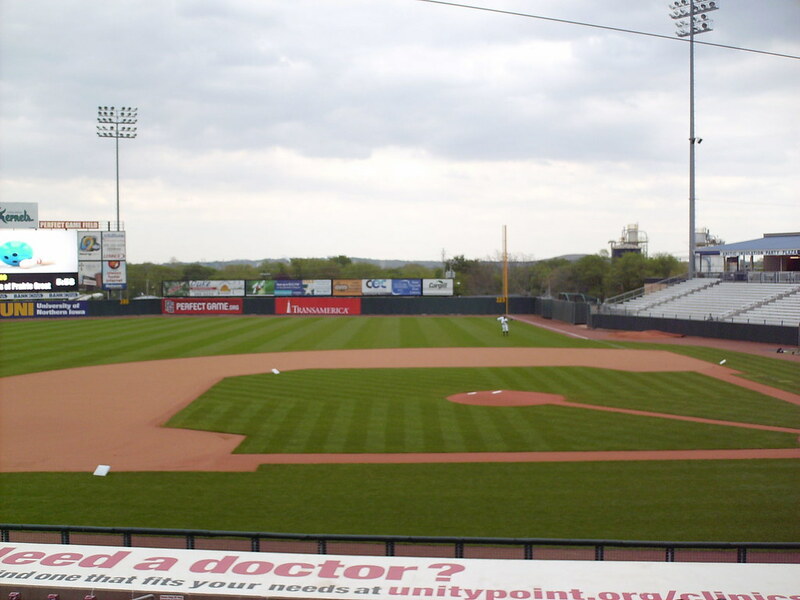 The outfield wall is taller and closer to the field in left, creating a sharp corner just before the retired numbers. 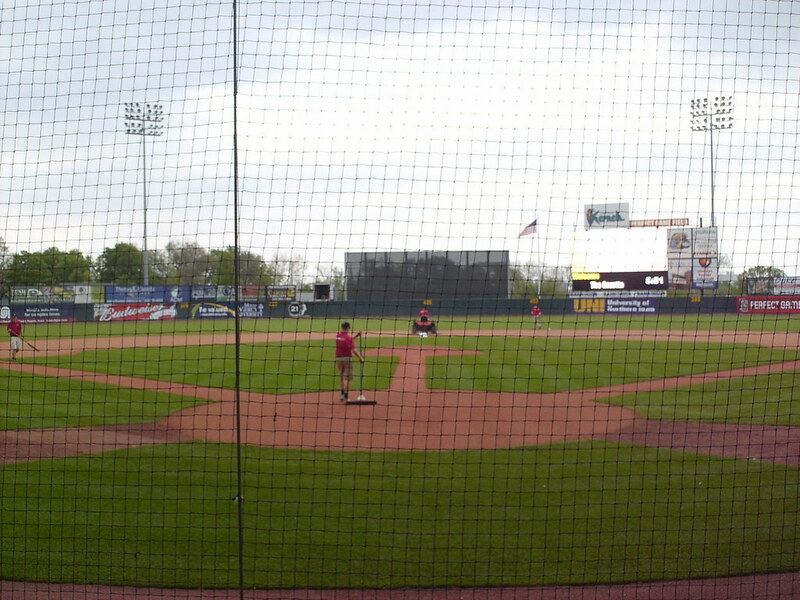 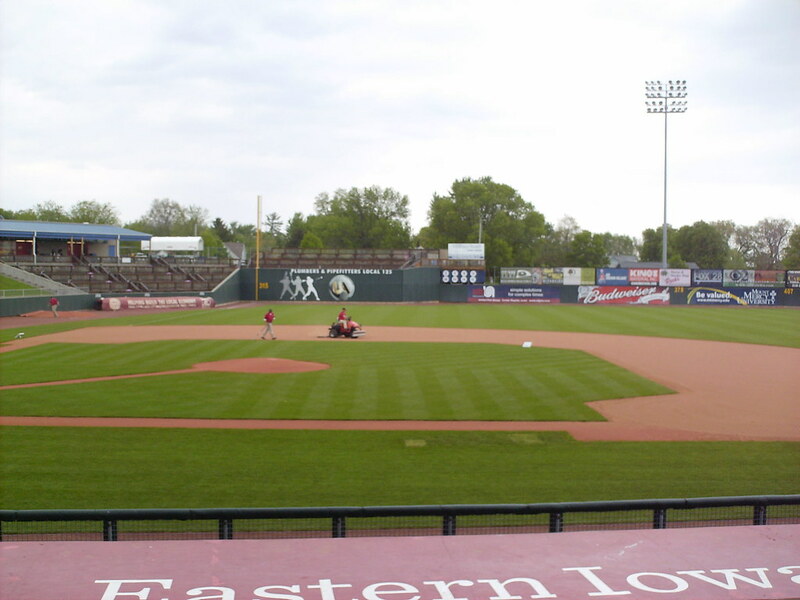 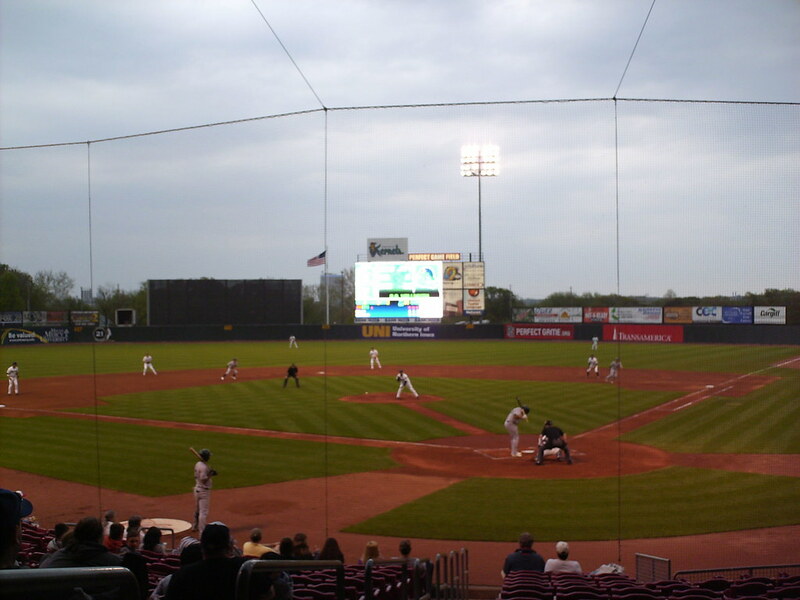 The Cedar Rapids Kernels on the field during a game at Veterans Memorial Stadium.